Eliminating your water run-off problems. Drainage and erosion issues are destructive to many Maryland properties. 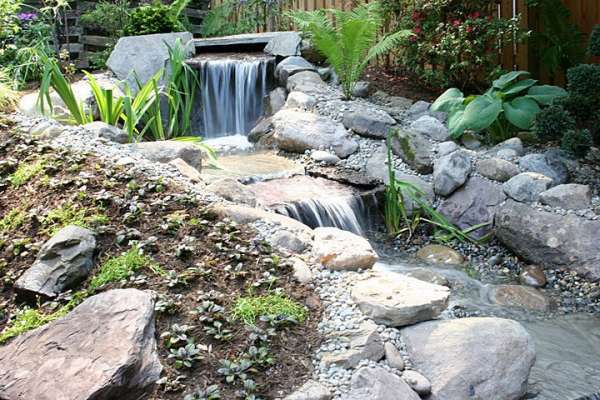 Uncontrolled water run-off slowly penetrates foundations and erodes soil and other landscaping. Installing proper drainage typically includes tight connection of all downspouts to drainage pipelines. East Coast Landscape Design eliminates problems at the building foundation and prevents standing ground water. Landscape grading can be a valuable and effective tool in managing this run-off water. We also incorporate drainage lines to redirect water to catch basins or draining the run-off away from foundations. 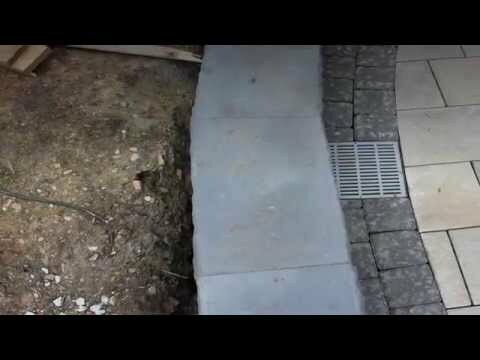 Drainage is facilitating the movement of water from one place to another using landscape design techniques and materials. Our consultation will outline how to protect your home and create lasting beauty and value. We use erosion control applications to Maryland state specifications. Our Senior Geotechnical Engineer specializes in drainage and erosion control engineering in Maryland. From appropriate worksite conditions to properly manicured and groomed final grade, East Coast Landscape Design installs confidence with every job. Using products manufactured by American Excelsior and SI Geosolutions, we assure your job is done right. Our drainage work is backed by NDS and ADS products, the leading companies in watertight drainage solutions. Let East Coast Landscape Design fix your drainage issues to ensure your home stays dry and your property remains safe and enjoyable. Ask us about drainage solutions for hard surfaced areas. We can also relieve hydrostatic pressures in existing retaining walls to protect from environmental distress.